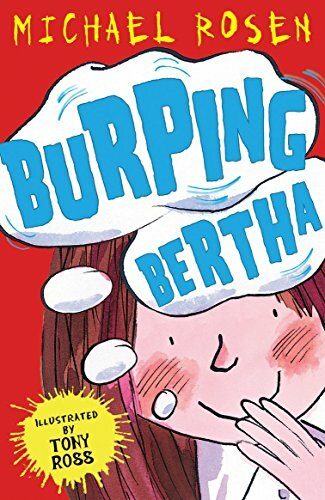 Bertha leads a perfectly ordinary life until one morning she burps,thereby knocking her tiger over. From there she can only improve her ability to burp, causing plenty of slapstick and chaos along the way. And where does it all end? Well, let's say that her performance in the Christmas concert is unusual but does not go unnoticed, and from there on even greater things happen until a fatal plane accident... It may seem a sad ending, but Rosen's ability to create and maintain humour whatever the circumstances is assured. This story will have plenty of fans among younger readers.